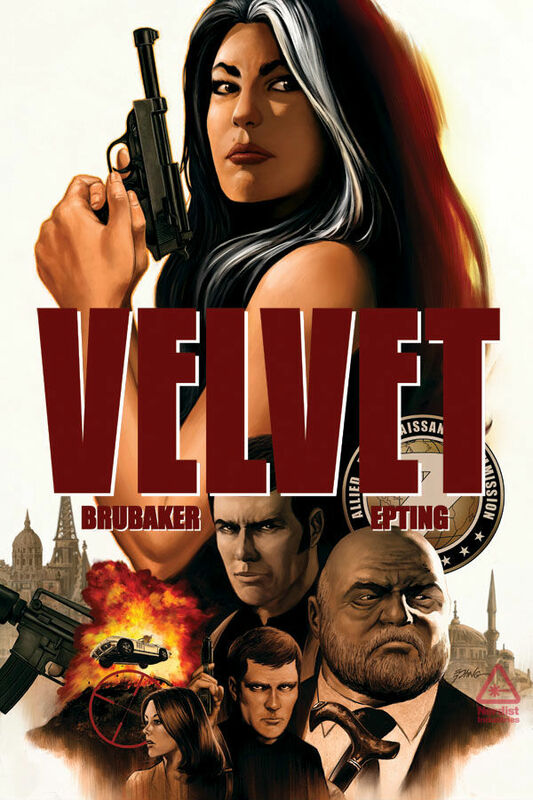 1) Brubaker works with some terrific artist/illustrators: Sean Phillips on The Fade Out and Criminal, Steve Epting on Velvet. Those guys get the stories' dark atmosphere down, and they know when an illustration should absorb the reader, and when it should retreat, literally, into the background. 2) Brubaker favors fractured, multiple-viewpoint narrative, and he uses it well. 3) Brubaker has a weakness for melodrama. The works beautifully in The Fade-Out and Velvet, less well in "Lawless," the second story arc in Criminal, where it's a bad fit with the story's emotionless-returning-veteran-bent-on-revenge protagonist. What's the point of dragging out a string on deus ex machina secrets if the protagonist will show no more reaction than burying his head in his hands, and that only once that I can recall? 4) That excess will occasionally find its way into dialogue or narration by female characters, in lines like "Do even see me at all?" — soap-opera stuff, and not in a good way. * "I certainly won't argue that betrayal is a big part of the story, for sure. One of the things that I really wanted to write about [in Velvet] was the way espionage agencies use and discard assets and operatives... "
But "argue" CAN mean exactly that, "dispute". As in the well-known phrase "argue the point", which appears frequently in English and American literature and is also widely used by ordinary people. What is the sound of a 1% interest rate rising?